Looking for property maps and information? 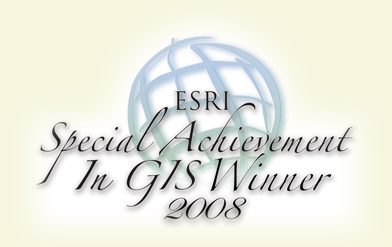 We provide a large number of online interactive maps through ArcGIS Online that are easily viewed on desktop computers or mobile devices. Visit our map gallery to view all the available maps and applications. The Delaware County Office of Geographic Information manages the County's Geographic Information System (GIS). A GIS is a computer-based mapping system which relates various types of data and information with real-world locations. The basis of Delaware County's GIS is its library of GIS data layers. These layers provide a comprehensive representation of the County's property fabric; basic infrastructure; environment; recreational facilities; governmental structure and facilities; emergency services infrastructure and facilities; and transportation network. These layers have been developed utilizing high-resolution aerial photos (6" pixel) of Delaware County as a base. The most recent set of aerial photos was acquired in 2010, with planned update of imagery in 2013. These GIS data layers are developed and maintained by the GIS Department and other County Departments utilizing ESRI's suite of ArcGIS software. The GIS Department manages an "enterprise GIS," allowing a network of over 60 users in 16 County and City of Muncie Departments at locations throughout the City and County to access a central server database operated and maintained by the Department. As an enterprise GIS, one key objective of the GIS Department is to seamlessly integrate GIS into the daily workflows of County and City Departments and partner organizations. In other counties and organizations, GIS integration has provided time and cost-savings, improved analysis capabilities, and enhanced decision-making capabilities. Therefore, in order to facilitate GIS integration, the GIS Department provides consulting services to its internal County agencies as well as its partner organizations. The GIS Department examines business practices for departments and develops recommended areas for applying GIS to daily tasks. Under certain circumstances, the GIS Department also will develop custom applications to meet the needs of County departments and partner organizations. Nearly 80% of information housed in government is geographic in some way. In order to make informed and accurate decisions, all geographic information involved with a certain area must be known and understood. Efficient delivery and presentation of this geographic data is what we are all about. Our ultimate goal is to make County GIS information accessible from anywhere, by whomever needs it. We have moved much closer to this goal by offering the beacon online mapping tool. 6th at the ESRI International User Conference.